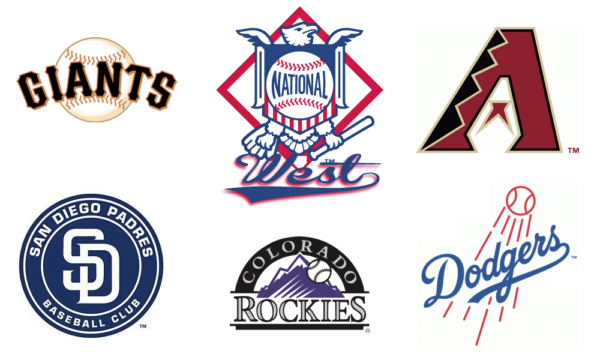 With the current state of the NL West, are the San Diego Padres trending in the correct direction to become relevant players in a very tough division? The San Diego Padres are rumored to be in the hunt for players that could give them a boost in the 2019 season and beyond. Let’s not kid ourselves, the odds of the Padres challenging for the N.L. West division crown this upcoming season are remote. However, the odds may be tipping in the Padres’ favor for 2019 and beyond, thanks to some moves teams in the N.L. West either have made, or are rumored to want to make. First, let’s start with the deal that was done. The Arizona Diamondbacks traded away not only the face of their franchise, but really the cornerstone of their whole organization in first baseman Paul Goldschmidt. He is Arizona’s franchise leader in *takes a deep breath* WAR, on-base percentage, slugging percentage, walks, and wRC+, and he is just second in many others. Needless to say, at least in the short run, the Diamondbacks will suffer from his loss. He is a player good enough to tip the scales of the division he is leaving. They also lost 2018 All-Star starter Patrick Corbin, former MLB All-Star outfielder A.J. Pollock, and are rumored to want to be rid of Zack Greinke and his contract. It is clear the direction the Diamondbacks want to go, and that is the way of the Padres – towards a rebuild. This is after they completely collapsed down the stretch, going 8-19 in September and relinquishing the division lead early in the month while finishing 82-80. The organization is now tearing most of it down, with two of their top three WAR players for 2018 already gone and one more likely on the move (Greinke). The Padres should feel encouraged by Arizona’s situation. Their misfortune and impending rebuild might mean the Padres could aim to leapfrog them in 2019. However, the Diamondbacks are not devoid of talent, with guys like David Peralta and Robbie Ray. They will still put up a fight, but now it seems more realistic for the Padres to usurp them. The San Francisco Giants look to be in a tough spot. They finished 2018 73-89. 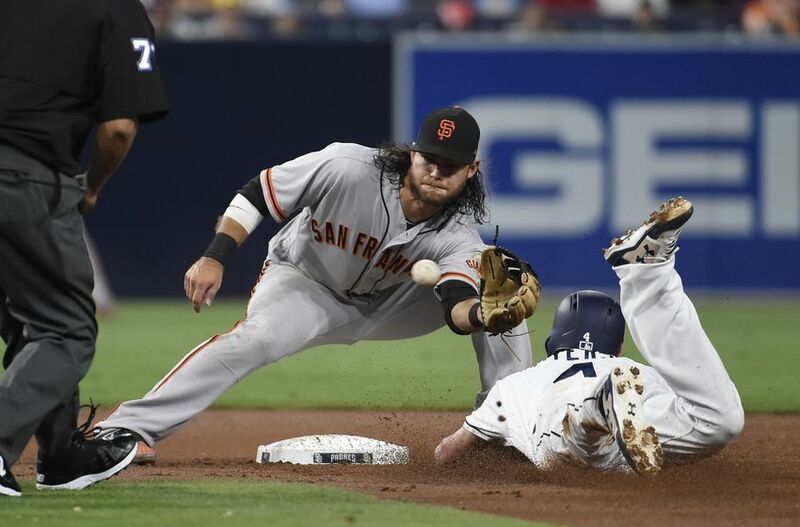 They have an aging Buster Posey, Brandon Crawford is not getting any younger, and the trade to acquire 32-year-old Evan Longoria is looking like a bust. Plus, there are rumors that the Giants are shopping their franchise face as well, in Madison Bumgarner. Dealing MadBum would most certainly signal an end of an era and a possible rebuild in the Bay Area. Although no deals have been done yet, it seems likely that Bumgarner will be gone either this winter or sometime during next season as he will become a free agent after 2019. 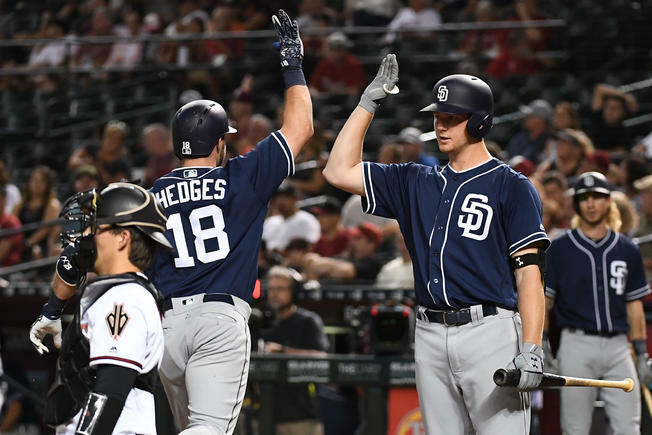 With the Giants and Diamondbacks trending in the opposite direction of the Padres, one might think the Padres have a shot at least at landing in third place in the N.L. West in 2019. The Padres would need to help themselves as well by acquiring another starting pitcher to be the anchor of a young and unpredictable staff. As it stands now, the Giants and Padres might “battle” for last place in the division, with the Diamondbacks just a hair above them. With a strong winter and/or big prospects making another leap, the Padres could project themselves above these two sinking ships. Certainly, the Dodgers remain the class of the division, and it doesn’t look like that will change anytime soon, with a strong young core and a good farm system still lying in wait. The Rockies finished 2018 at 91-72 (winning the “play-in” game) before falling to the Brewers in the N.L. Division Series. They, too, have a good young core with Nolan Arenado, Kyle Freeland, Trevor Story, and company. But for how much longer? Arenado is a free agent after the 2019 season. Things are trending in the right direction for the Padres, especially with their time-frame of really making a push in 2020 and 2021. The Giants and Diamondbacks look to be getting worse with the Rockies still in flux with big contracts looming. The Friars have a chance to change the pecking order in the N.L. West, starting in 2019. It’s time to move up the standings. The Padres have finished in last place two of the past three seasons. It’s time to end it and prove, on the field with tangible results, that this rebuild is entering the later stages. Next Is Hudson Potts Unheralded Within Padres’ System? Good article, and I think you are right about about the Padres rising while the others are sinking. 2019 will really be a prove it year. So many of the prospects are 19 and 20, therefore 2 to 5 years away from making it. Thus it will fall to the front office to trade for or sign proven, above average ML players. Preller has been skilled at building the farm, but most of these guys will stall out, that’s just the nature of prospects. 1) a SS. Keeping Galvis for another year would make some sense. 2) a 3Bman. There are a few available in trade. 3) a pitcher or 2. Sonny Gray maybe. Or Gio Gonzalez. Or both. 4) Unclog the OF glut. Means trading one of them. 5) End the Wil Myers era. That extension has just not worked out. They should have pulled the trigger on that rumored Myers to Seattle trade.